Meet PatientsLikeMe member Anna, who’s been living with IPF since 2011. Below, see what she shared with us about her diagnosis, how she fills her days with the things she loves, and how she’s learned to tackle daily tasks like shopping and cleaning while living with a chronic condition. She also touched on how PatientsLikeMe helped her learn to better manage her condition and how she found support with the IPF community online. When it comes to managing day-to-day tasks, she makes sure to be smart about how she spends her energy by dividing her cleaning based on the day of the week and on how she’s feeling. “I do one room every other day so as not to overwhelm my lungs and so I don’t get too tired.” She also finds online shopping is useful because it saves her time and it doesn’t require her to carry heavy items to and from her car. 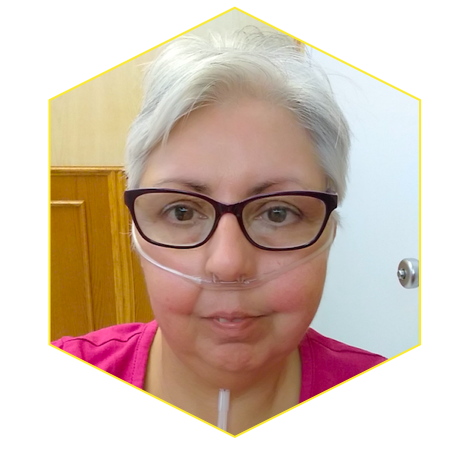 She’s also found that being part of the PatientsLikeMe community has helped her manage her condition in a number of ways, from understanding how IPF affects others to reading about new research and discovering what treatments other members are trying. Anna says PatientsLikeMe even helped her figure out what questions to ask her pulmonologist. What would Anna say to anyone who’s recently been diagnosed with IPF? “Don’t give up. I know at first it feels like a death sentence and you go through a grieving process and feel that there is no hope or light at the end of the tunnel. But these are normal reactions, and the key is not to fall into that pit.” She encourages people to be strong and says that it’s okay to ask for help when you need it. Are you living with IPF or another chronic condition? Join the PatientsLikeMe community to find answers and support. More than half a million members, connecting 365 days a year, sharing countless health insights and words of support. Communities like this one are built on communication. And every day, patients like you are finding new ways to connect and enrich your community. From in-person meet-ups to live-streaming support groups and off topic threads, patients like you are finding creative ways to build communities. Check out some of the ways connections are growing in and out of the forum. What started as a simple chat between friends in the forum evolved into something much bigger. 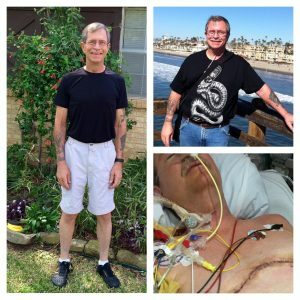 Members from the multiple myeloma community on PatientsLikeMe decided to take their friendship out of the forums and into real life. 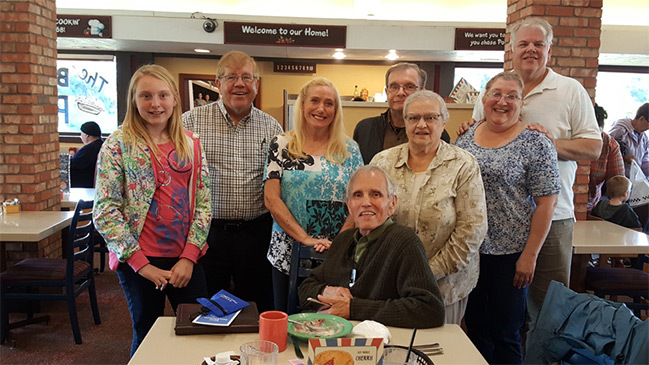 Marcia (marcia_holman), Dennis (DennisIvan), Paul (paulatsea) and Lee (Dapylil), along with spouses and grandchildren, got together and discussed life with multiple myeloma, their “new normal” and shared the highs and lows of the journey together. In Marcia’s words: “It has been a delight to get together and meet someone you have just been corresponding with on line. We can put a face to them. You get to know their personalities and they become “forever friends!” Check out the full story. When Nola, living with progressive MS, was having trouble making her bathroom handicap accessible, Gary decided to jump in and help. He used his connections at Home Depot (where he worked) to help Nola regain her independence, her ability to clean herself, and most importantly, her dignity. 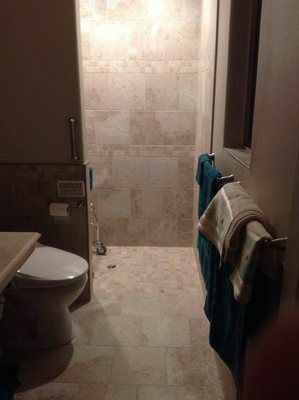 Check out photos of her remodeled, handicap accessible bathroom and rest of their story on the blog. A thread to celebrate us! Going strong since 2010, this thread was created as a “happy place” for MS members looking for positivity and support. “Potpourri” and reading recommendation threads in the ALS forum have been go-to places to share about non-ALS stuff. Are you part of the PatientsLikeMe community? Join to add your voice and create your own community.